Air handler — This is the indoor portion of your heat pump or air conditioner that is responsible for moving the heated or cooled air through your home’s ductwork. The air handler is typically a coil blower or furnace. BTU — This stands for British Thermal Unit. A BTU is the amount of heat needed to raise the temperature of one pound of water by one degree Fahrenheit. Central Air Conditioning: Either a split or packaged system which circulates air through a system of supply and return air ducts. Compressor — This is the part of the outdoor portion of your air conditioner or heat pump responsible for compressing and pumping refrigerant. Condenser coil — Located in the outdoor part of the air conditioner or heat pump, the condenser coil collects or releases heat, depending on the time of year. Damper — A damper is a movable plate located in your ductwork that helps regulate the airflow. Ductwork — The mode in which air is channeled throughout the home. ENERGY Star® — a standard held internationally for energy efficient consumer products. Heat Pump — The mechanical refrigeration device that transfers heat from a colder area to a hotter area. It is the outdoor portion of the air conditioning unit. The indoor portion is the air handler. HEPA filter — A High-Efficiency Particulate Absorbing filter removes dust and other particles from the air by trapping them as the air flows through the filter. 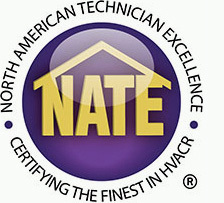 HVAC — Heating, Ventilation, Air Conditioning. MERV rating — The Minimum Efficiency Reporting Value rating of an air filter describes the size of the holes that permit air to pass through. The smaller the holes, the higher the MERV rating and efficiency of your filter. Refrigerant — A chemical which helps in the cooling process of air in the AC system. Split System — A system for heating and cooling. Includes indoor and outdoor unit plus the thermostat. Upflow — Usually found in small spaces like an attic, basement, or closet, this describes an upright install of the AC, circulating air through the bottom or side. Ventilation — Filtration system for exchanging stale air with fresh. Zoning — A zoned HVAC system partitions the home into independently controlled areas for increased efficiency and comfort. Do you still have air conditioning terms that need explaining? Leave us a comment below or on one of our social media pages and we will be sure to get back to you with an answer! 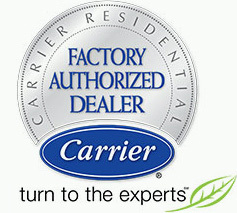 Palm Air AC is a certified Carrier® factory authorized dealer. We are proud to offer top-quality residential and commercial air conditioning installation and repair services to homeowners in Palm Beach and Broward counties. We are an accredited member of the Better Business Bureau, and all of our work is backed by a 100 percent satisfaction guarantee. Whether you need routine air conditioner maintenance or emergency AC repair service, Palm Air AC is there for you. Contact us today for more information or to schedule an appointment.